Professor Real Estate® offers tailored real estate education services and consulting to banks, lenders, investors, foreign and domestic investors, real estate teams and individuals. 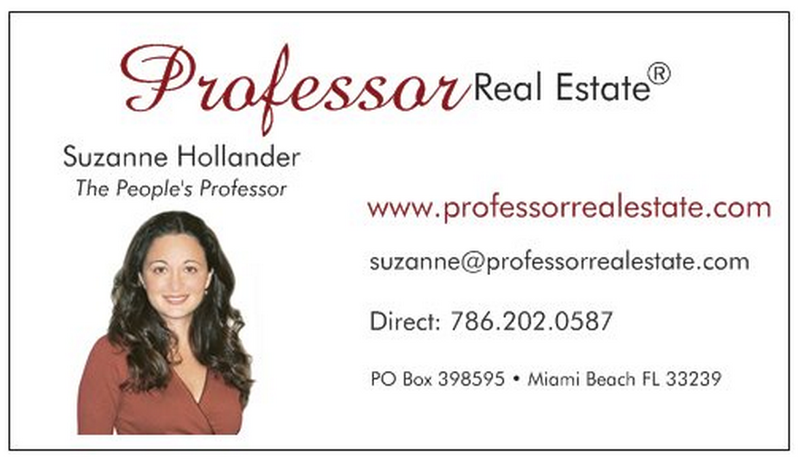 Feel free to contact me Professor Real Estate® to Learn Something Real Estate! Also, contact Hollander Realty, LLC, Lic. Real Estate Broker, for purchases and sales of property – services delivered in a confidential professional business manner. > Buying Real Property > Biz News! Suzanne Hollander Leads Miami Real Estate Development Boat Tour for 150!